Field: ~70 in all the events(1hr, 3hr, 6hr, 12hr and 24hr). The fall version tends to be bigger. Spectators: Just a handful a family members and race volunteers, but you got to see them every lap. Start/Finish: A nice little green space to hold your cooler, snacks, and chair. Course: Loop course around a small lake. The trails are not technical and are great for beginners. Schwag: Water bottle and super soft shirt. Medal for all 6 hour or longer finishers. Personalized belt buckles for all 100 miler finishers. 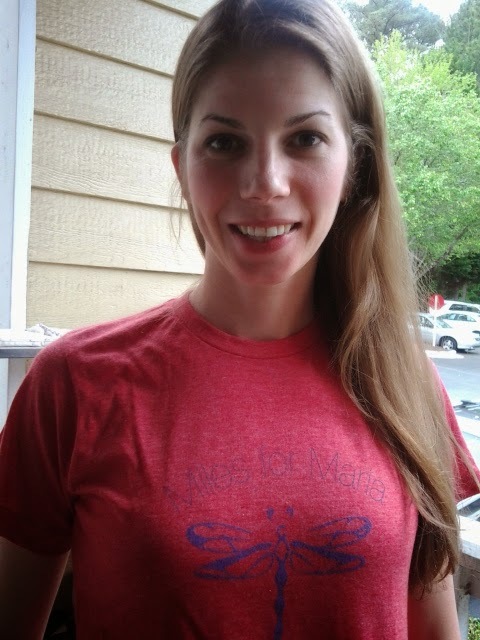 Other: The race is named for the race director's daughter Maria, who has epilepsy and a portion of the proceeds go towards epilepsy research. Maria is 5 and loves to come run laps at "Her Race". The 3, 6, and 12 hour divisions have two possible waves you could run (one starting in the morning and the other in the afternoon). To sum up the race in one sentence, I ran in a circle for 6 hours, nibbled on snacks, and had a great time. But since you all probably want to hear a little more of a recap than that, here are some of the highlights. Timed events are very low key. People are constantly getting on and off the course (we came through the lap mark before hitting the camping area and aid station, so stopping didn't effect lap count). It is hard to tell during the race who is leading (except if you remember they have passed you a ton), and everyone seems to be out to reach their own goals. I really enjoyed the format, and it was really easy to convince myself to go out for one more lap or bribe myself with a snack after 2 more laps. I found myself nibbling as I came by the aid station frequently in the last 3 hours, as opposed to fueling every 45 minutes or so as I do on the road. I didn't really even have to stop to grab a snack, except when I was filling my handheld, as most of the snacks were individually portioned. I never really got bored running the same route for 6 hours. I zoned out several times, chatted with other runners, and just enjoyed being outside. It was a different mindset for a race, in that it isn't over any faster no matter how quickly you run and focusing on achieving a certain distance really helped keep the feet moving. Pre-race the tent/gear area and the wonderful snack table. As I mentioned in my pre-race goals, I didn't know what to expect of my first 6 hour race and that feeling extended all the way until the start line. I woke up on race morning groggy. That kind of groggy, where you are confused, not really hungry, and definitely not yet awake. I managed to scarf down a Picky Bar on the drive up to the race, but it was definitely less fuel than one hopes to take in before an ultra. Other than that, it was a really easy race morning. Directions to the the race were spot on, there was plenty of parking available a mere few hundred feet from the course, and packet pick up was a breeze. 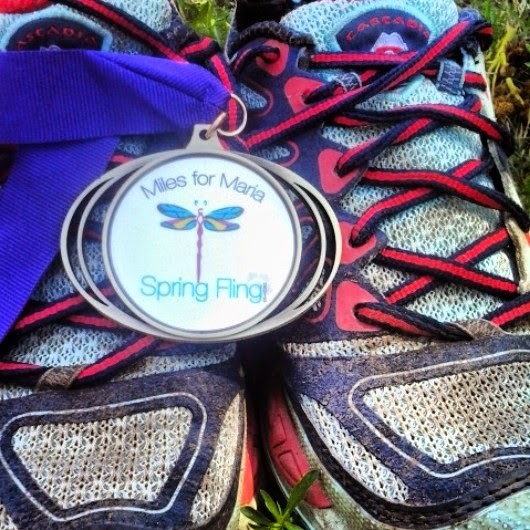 With less than 70 participants, this race has an intimate and family feel. The race director greets people by name, many of the participants are returners (including a dog with her own bib and very pregnant woman), and many familiar faces from the local trail and ultra-groups. I had a great time chatting with other participants through out the race and as I pillaged the snack table when my 6 hours was over. Looking a little sleepy and rocking my super soft race shirt. I love it. Better shot of the logo. 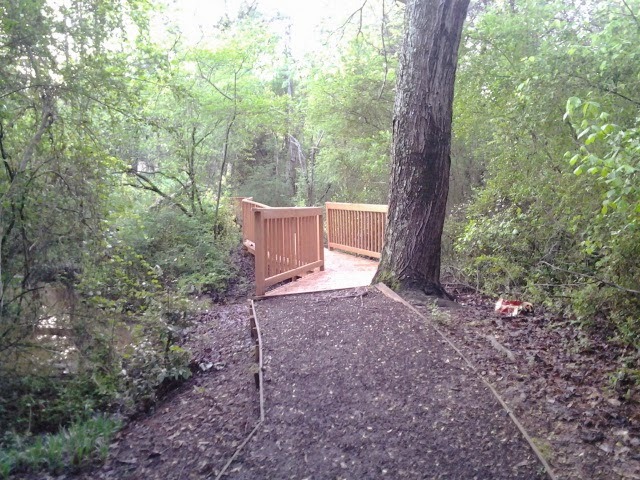 The trail was mostly double wide, not technical, with a mix of wooden boardwalks, wood chips and dirt. Since there was a pretty solid spring monsoon the night before, we were also treated to some fresh mud as well. The morning was perfectly cool (50s), and though we weren't in a rural location, the trail felt like a nice escape from the city (the trail is a well maintained walking path in an office complex). It is mostly tree covered and flat (though the very little rises were definitely noticeable after a few hours). As I came through the first lap, I glanced at my garmin and saw that it was around 1k and decided that would make estimating my total distance a whole lot easier for the next few hours. A Glimpse of the course. Some areas were more root filled. Always the potential Achilles heel of any distance event, fueling is in some ways easier in a timed event. With the lap length being relatively short in timed races, there really isn’t much of a need to carry fuel (note: I did carry my handheld full of NUUN after the first hour so I could sip as needed). Every kilometer we passed by a very well stocked aid table with everything we could dream of (chips, cookies, bananas, candy, etc) and I had also brought a few personal favorites just in case (Island Boost, Stinger waffles, and salt tabs). For the most part fueling went well. I started fueling after the first hour and then realized I was kind of hungry at the 3 hour mark (I didn’t fuel well pre-race because I had a lot of trouble waking up on race morning). I probably nibbled a little too much at this point and had a lap of feeling icky/sugar blues, but once the fuel got in my system, I hit a strong groove for the next hour. 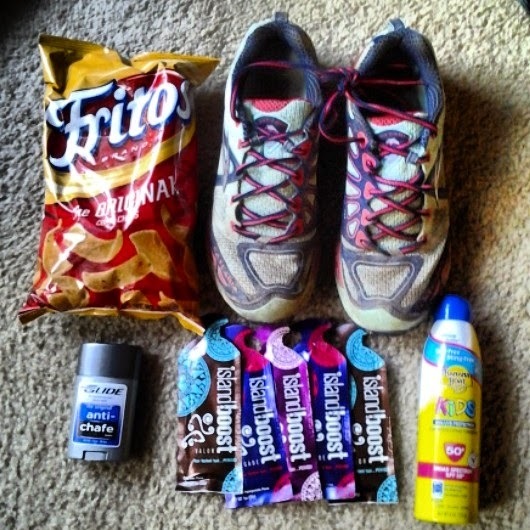 After that, I had small snacks every few miles to keep the blood sugar more stable. Personal snacking favorite during this race: corn chips. All the essentials. Not pictured: magical coke. Initially my goal was to not really have a distance goal, but to see what kind of rhythm I got into and how I felt. I knew mathematically I could potentially cover a 50k in 6 hours, but with minimal long mileage and the potential for a warm day (highs were in the 70s), I kind of left that idea at the back of my mind. As I began to tick off laps, I realized that I was running about 5.5 miles an hour (including snack stops, water bottle refills, and sunscreen applications) which would put me right on target for a 50k. By the 3 hour mark I was at 16+ miles and I wasn’t sure if I could keep the pace up, but I was planning on giving it a try. At the 5 hour mark, my garmin died, so I was running a bit blind after that point. I knew I was over the marathon, so I kept plodding along. With about 18 minutes left I swung by the scorer’s table and asked for a lap count, and I was at 48. I went back out, grabbed the last two laps to make it an even 50 (I like round numbers) and called it a day a few minutes early (i.e. B-lined it for the pizza I’d seen recently arrive at the snack table). I had estimated each lap to be about 1k, so I felt confident (and happy!) that I’d finished a 50k. When final results were posted, I actually finished 32.5 miles as each lap was 0.65 miles and that extra 0.03 really makes a difference after 50 laps! I was pretty happy with the results and also a bit surprised to find out I ran the most miles in the 6 hour event. 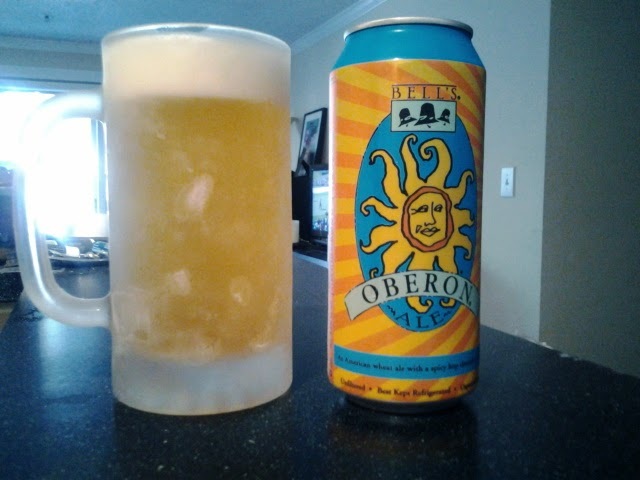 I celebrated with one of my favorites when I got home: a frosty Bell's Oberon. Don't get sunburned. I applied 50SPF before I left the house and again at hour 4. Keep the pace comfortable and conversational. Check! Obviously, nothing speedy about this effort. Continue to work on fueling long efforts. Check. Learned a few more likes and dislikes. Be proud of the effort I put out. Check! I am happy with my final distance and overall performance. With that it's time to crown a winner! The closest guess to my total mileage without going over was 29 miles by Susie from SuzLyfe! Susie, I will drop you an email. Thanks to everyone for all the confidence you guys had in me! Do you enjoy trying out new racing styles? Have you run a timed event? Congrats on running the most in your race division! When I ran on the indoor track a lot during the polar vortex, I would bribe myself to get through laps too. (Though having a snack table as a bribe sounds dangerous!) Your recap made a timed race sound like a lot of fun...maybe I will consider trying a shorter one. Congrats on a great event. Any time you can check off that many goals you know you killed the run. Thanks Richard! It's helped that none of my goals were too lofty! Congratulations! I may try the November run. They seem like a really nice family, and it sounds like it cheers up Maria to participate. Thank you Frank! You should! The November one is more popular, so just be aware it sells out. This sounds like a lot of fun! I have been curious about timed events like this for a long time, but it seems like most are 12 or 24 hours which seems like a really daunting commitment. A 6 hour race seems like a good first one to do to see if you like it! Congrats on the mileage, very respectable! It was a lot of fun. A great way to really test some distance goals with out a ton of pressure. This was the first 6 hour I can across, but there are others. Definitely worth checking out! Girl you are amazing! Well done on the mileage :) What a great accomplishment! I have never even heard of this kind of event until you shared it, what an awesome way to do an ultra. It's nice you didn't have a blistering hot day. That cold frosty mug looks very refreshing after the event! Nice racing weather! What an accomplishment to have run the most miles. Congrats! Thanks Tina! 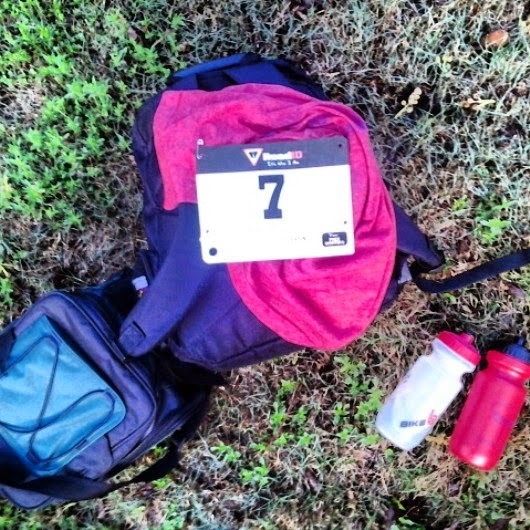 Good luck in your 50 miler this weekend! Yippee! You met your goals and ran the most laps--too cool, and big, big congrats. 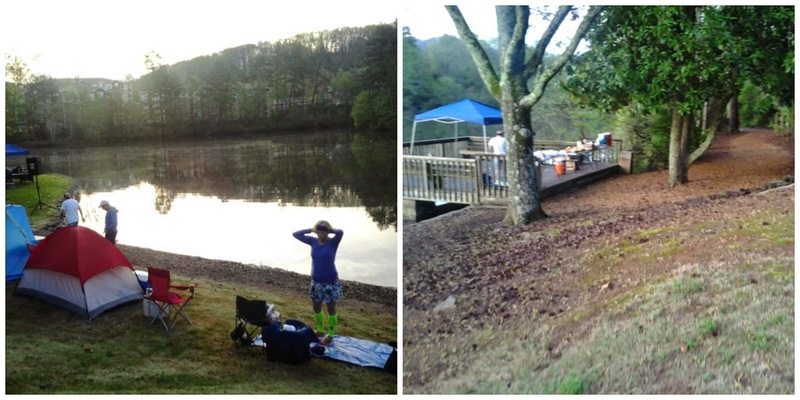 Loved your race report; now I want to run a timed event. I especially love the idea of a snack table each lap, lol. Thank you so much Cinthia! The snack table is awesome and awesomely distracting at the same time! Wow. Over a 50K, that is amazing. And congrats on running the most!! Thanks Abby! It was pretty unexpected! Awesome job EB! I would love to do an event like this sometime, where it's based on hours, not mileage. I think I would feel much less pressure. Love that it was for such a great cause too! Thanks Katie! It was fun to try a different format. so impressive!!! i've never done a timed race. maybe one day, when i'm done racing the states, i will do something like this! congrats!! Thanks E! It's a much different atmosphere than a road race and definitely worth checking out. Well done on the race and great recap. Looks like I'll be in Atlanta in mid-July, so I'm thinking of giving the summer version of this event a try. Two questions: What training plan did you follow leading up to this? I've only run marathons and there don't appear to be 6-hr plans online. What was your recovery like after the event, i.e. how long until you were able to resume your normal running routine? There's another 6-hr event in mid-August I have my sights on, and it'd be nice to be able to run both events while I'm in the U.S. over the summer.